Boasting coupé-like styling combined with an elevated driving position, spacious interior and plenty of ground clearance, the Audi Q5 is the perfect vehicle for drivers who require a car that's as flexible as they come. As much at home in the countryside as it is in the middle of a city, the Q5 is designed to fit in with your lifestyle. 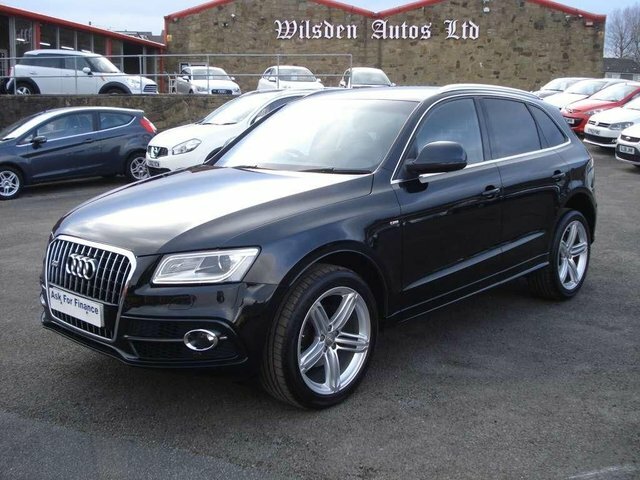 Why not come and test drive one of the used Audi Q5 models for sale in Bradford at Wilsden Autos Ltd? We have pre-owned vehicles to suit all budgets and you can be sure of finding a model that meets your requirements. Feel free to contact a member of the team by phone, online or in person to find out more. Finance is available to UK residents aged 18 years or older, subject to status. Terms & Conditions apply. Indemnities may be required. Other finance offers may be available but cannot be used in conjunction with this offer. We work with a number of carefully selected credit providers who may be able to offer you finance for your purchase, commission may be received. We are only able to offer finance products from these providers. Postal Address: Wilsden Autos Ltd, Main Street, Wilsden, Bradford, West Yorkshire BD15 0HY. Find contact details here.